On May 4, 2013 The Rotary Club of Milton barbecued bacon on a bun and tomatoes and cucumbers on a bun in support of the 21st Annual Milton Good Neighbours Community Day. 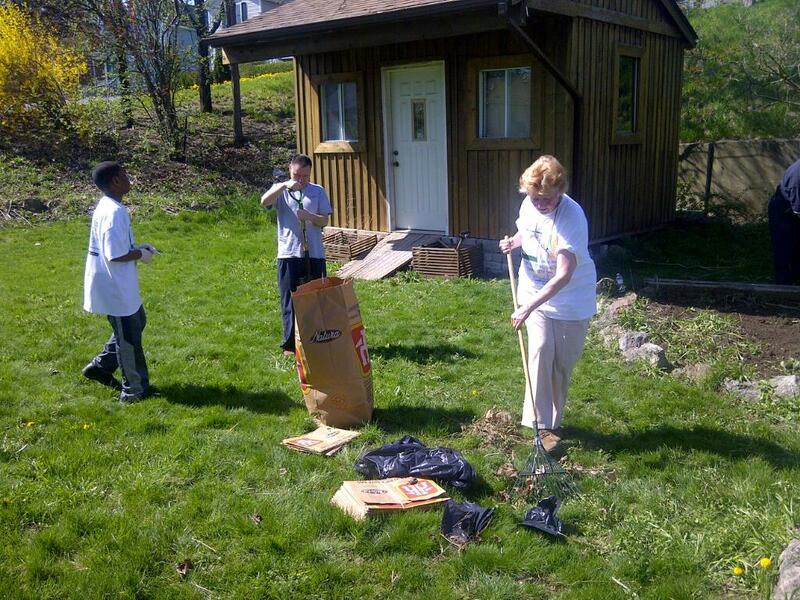 Members also did clean up projects including yard work at four Community Living North Halton residences in Milton. Many thanks to Rotarian Len Lee who organizes the Good Neighbours Community Day for the Town of Milton. This year Rotarians were also joined by members of the Milton Rotaract Club (a service club for 18-35 year olds).